Melvin Chew, the owner, took over the stall and is running it with his mother after the passing of his father which happened quite suddenly. 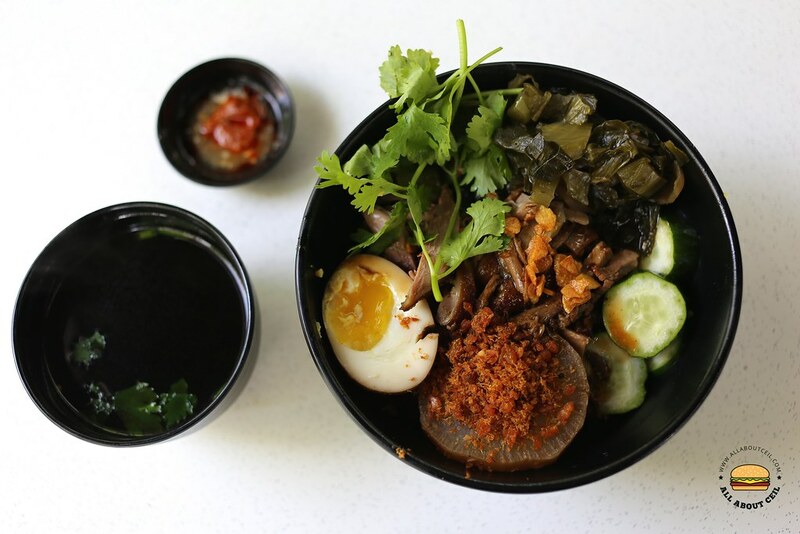 His parents started from a pushcart selling cut fruits before moving to Chinatown Complex Food Centre in 1983 to start serving Teochew style Braised Duck and Kway Chap. He has been helping out at the stall since young. 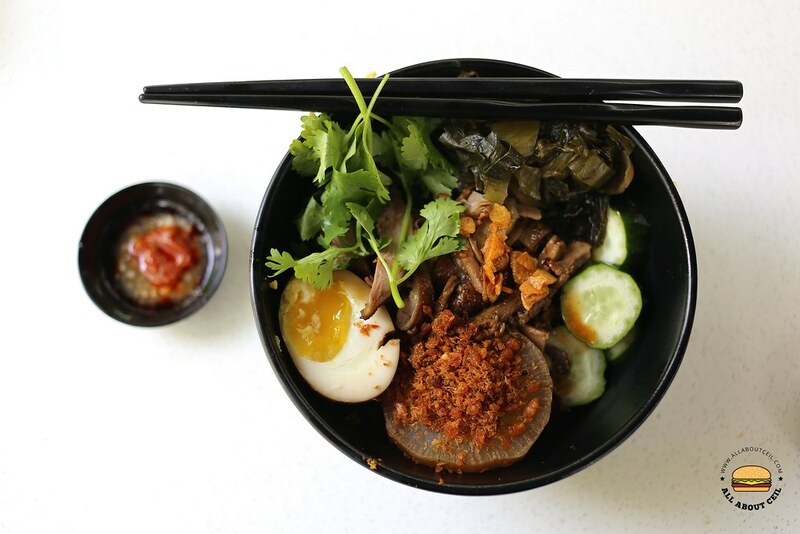 And, he has recently opened another outlet in a coffee shop along New Upper Changi Road. 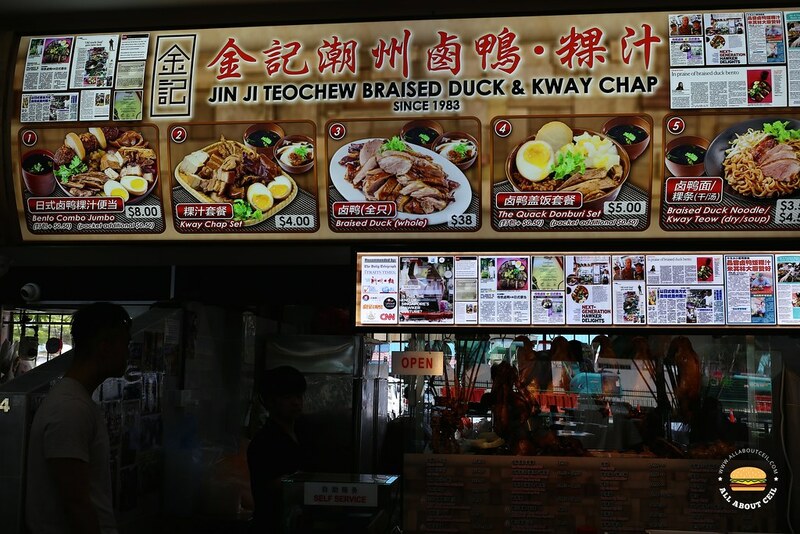 And, Kway Chap was the first dish that I tried and I did not like it as much then as the rice noodles were too thick to my liking. I went back to try the Braised Duck Rice Bento later, it was not too memorable as well. I was not even impressed by its creativity but deemed it to be gimmicky instead but even so, it is a good move in getting the younger customers. I decided to go with The Quack Donburi Set at $5.00 this time. 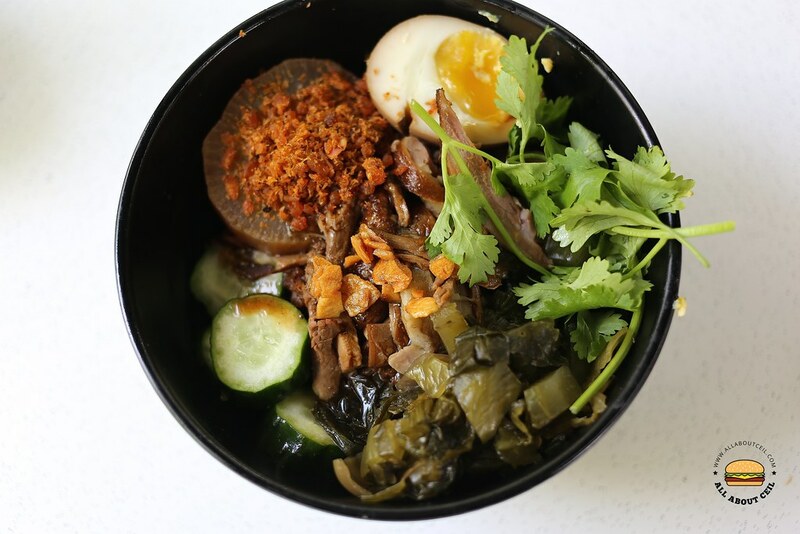 It consists of a portion of yam rice with braised duck, preserved vegetable, cucumber slices, half of a braised egg and a piece of daikon topped with hae bee hiam and fried garlic. The bowl of soup that served along with it has a light herbal flavor. My dining companion commented that the yam rice has a distinctive ham bee (dried shrimp) taste and he liked it. He said, "I do not remember it was this nice when I tasted the yam rice balls of the bento set. It was quite dry then with not much flavor." We both agreed that the braised duck was not as flavorful as we expected it to be and its texture was slightly tough as well. The ajitsuke tamago-inspired braised egg was done just right to have a soft and runny yolk. The chilli was quite good with just the right level of spiciness and a slight garlicky taste, which is quite nice. Though their braised duck is not the best, the yam rice is amongst the nicest that I tried.